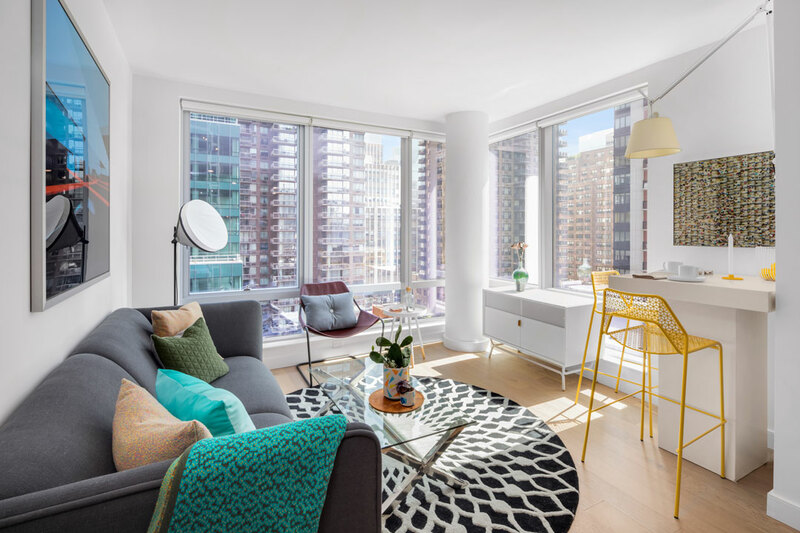 Mariele Marki lives at House39, a new rental building on East 39th Street in Manhattan that is awash in indulgent amenities. The apartment building also has a perfectly nice elevator that stops on all 36 floors. 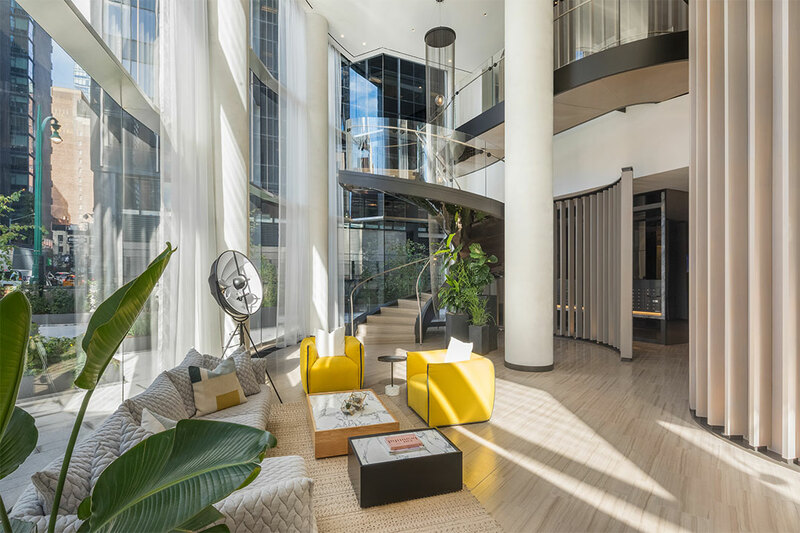 But after walking her dog, Ms. Marki, a marketing consultant who is 26, often takes the stairs to her apartment – starting with the sculptural staircase that spirals up the double-height lobby to the second floor, where she can grab a coffee from the lounge before continuing up on the fire stairs. 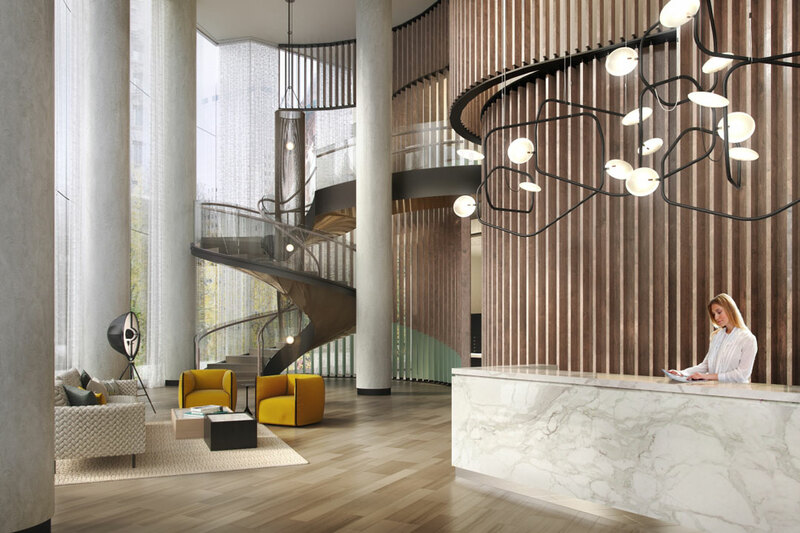 Over the last few weeks, residents have been moving into the nearly 400-foot-tall curvy rental building on East 39th Street in Murray Hill. We now have a first glimpse at what one of the finished apartments looks like. 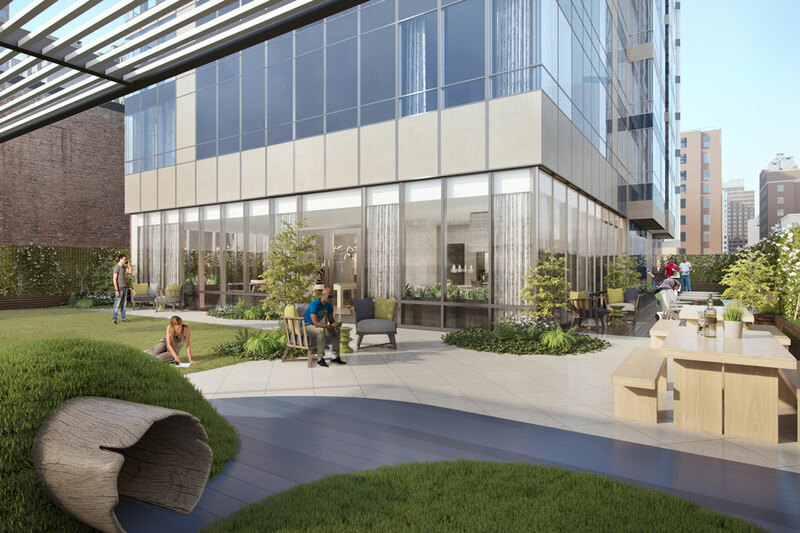 Fisher Brothers announced today that its newest and highly desirable rental project House 39, a 297-residence, LEED-certified glass tower in Murray Hill, has executed 100 lease signings in less than two months. Located at 225 East 39th Street, House 39 is a 37-story tower designed by Handel Architects, with interiors by the renowned Rockwell Group. The Marketing Directors is the exclusive marketing and leasing agent for the project, and Rose Associates is the managing agent. Leasing kicked off in mid-February, and move-ins have begun. As New York City developers are competing to attract buyers to the latest luxury buildings, more are putting in unique amenities. 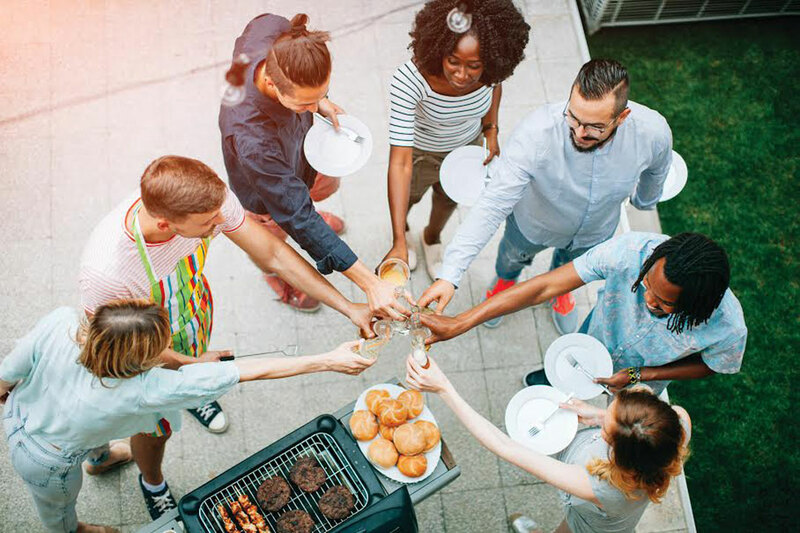 One of the newest rental buildings to do so is House 39 in Murray Hill. 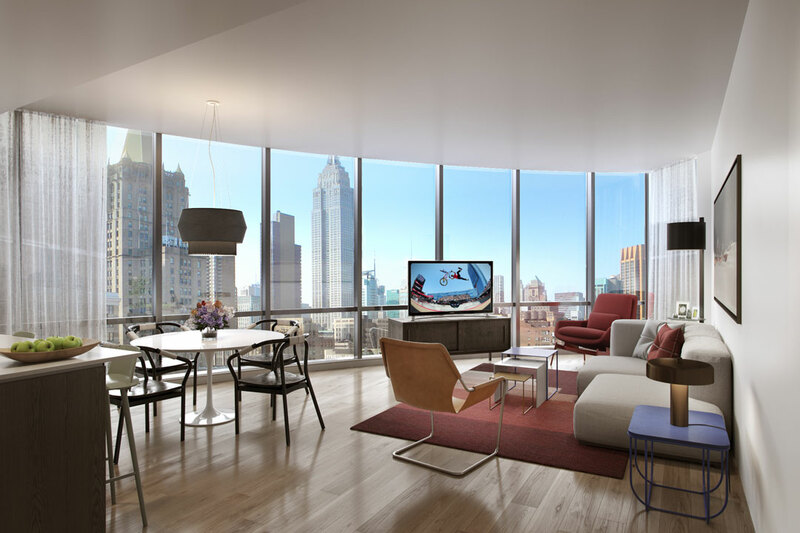 Located at 225 E. 39th St. the 36-story, 297-unit curved glass tower is LEED-certified. 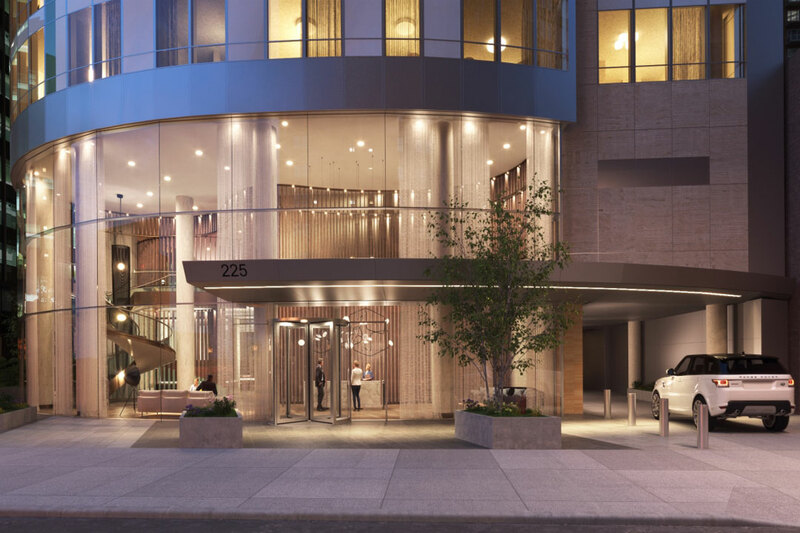 Over the past couple of years, a curvy glass building designed by Handel Architects has been taking shape in Murray Hill, on East 39th Street between Second and Third Avenues. That development, House 39, has now launched leasing on the building’s 297 apartments.